Candlelight blended with the beauty of glass! 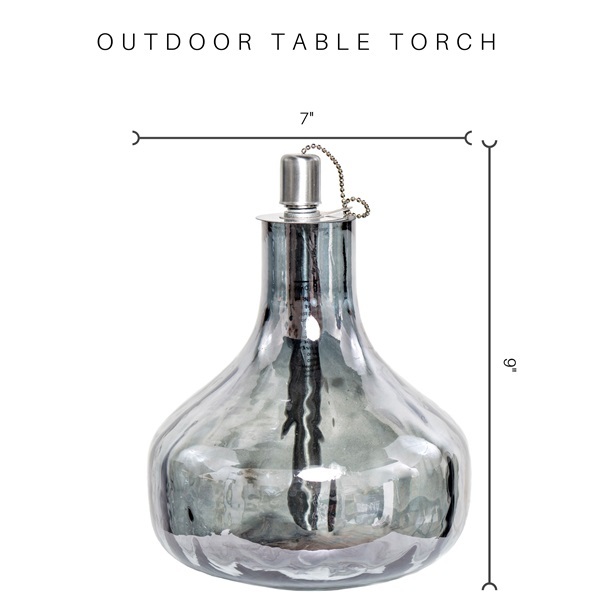 Imagine sitting outside under the stars with the soft glow of candlelight creating wonderful ambiance. 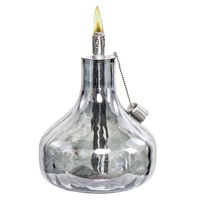 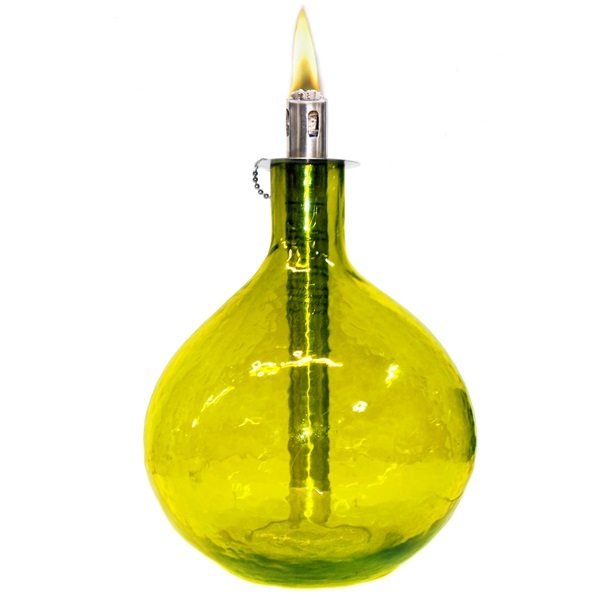 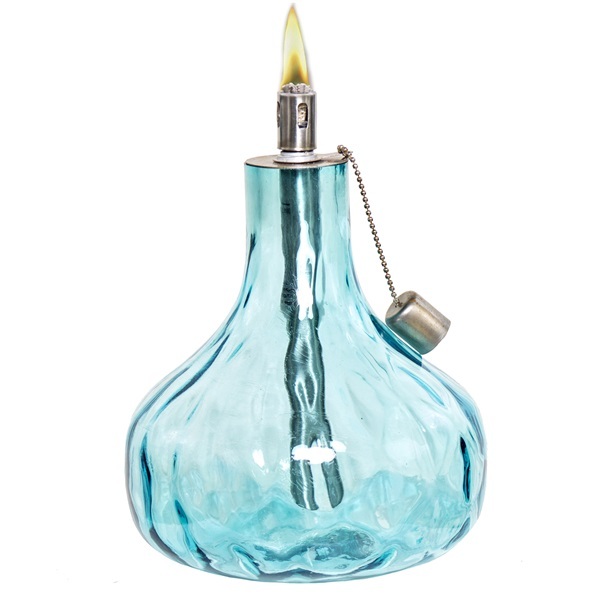 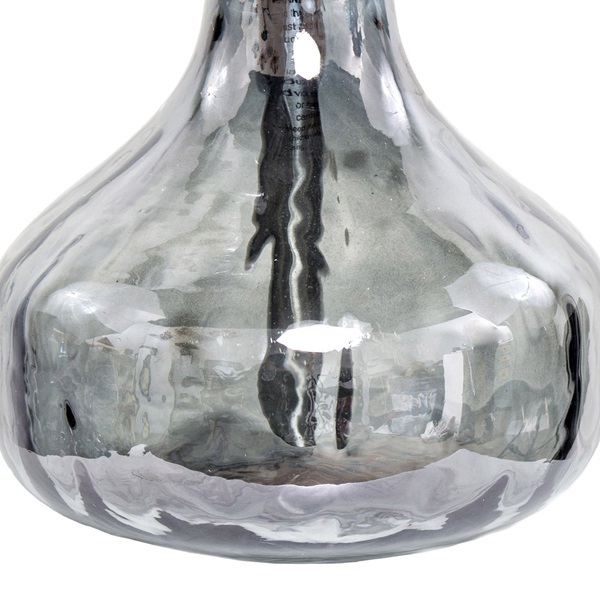 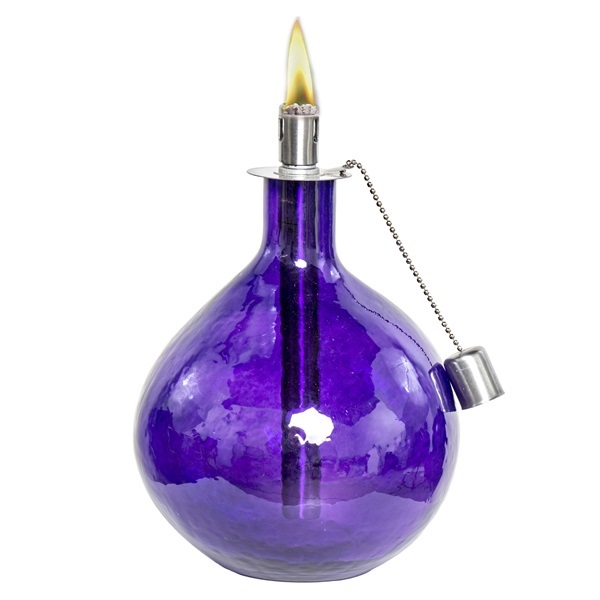 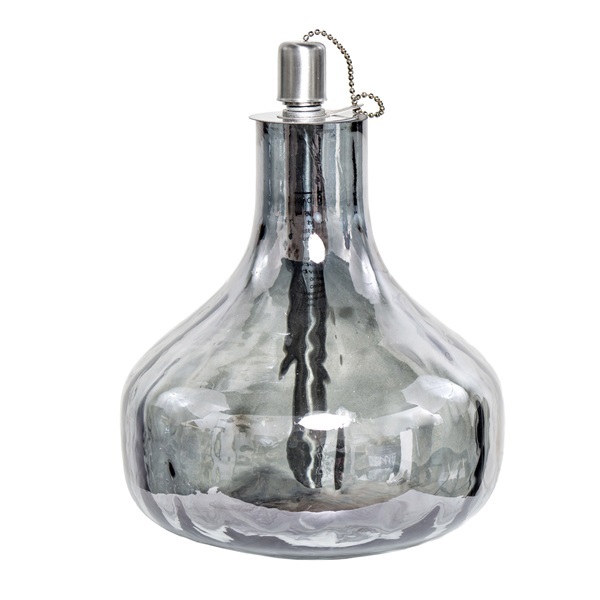 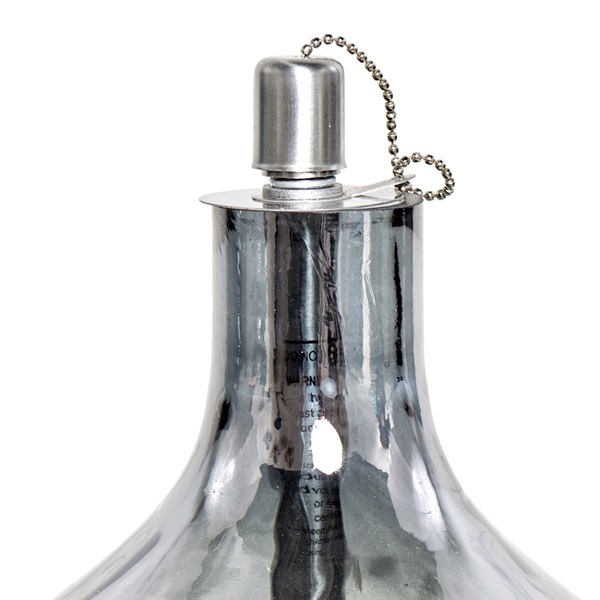 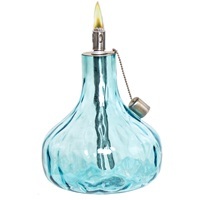 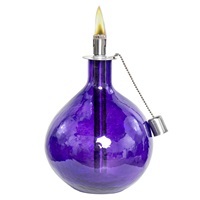 A richly colored hand blown glass base gently curves to a tapered shape to support the included torch. As the flame exudes light in every direction, the reflection of the glass is accentuated. 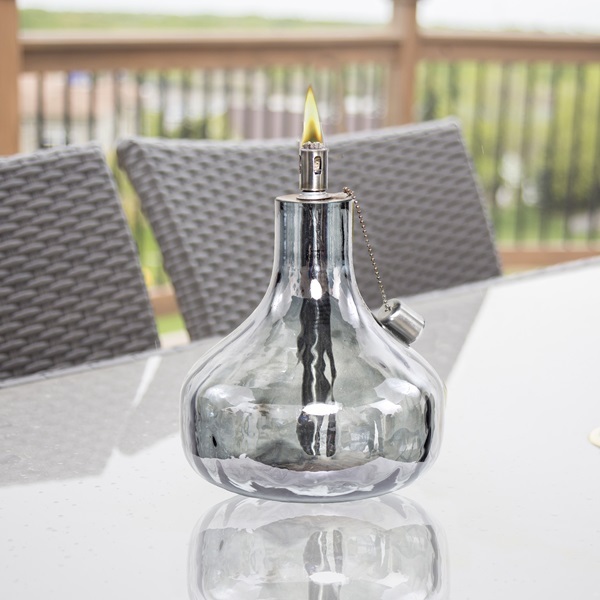 A perfect centerpiece or accent piece for your patio.